If I could give one piece of advice to people who are just starting their journey to publication, it would be, surround yourself with a good group of writer friends. I’m very blessed to have a close group of writer friends I can turn to when I’m in need of advice, encouragement, or even a ‘virtual’ kick in the backside to get my writing in gear. No matter my struggles, they are my go-to people, and they are there for me. You might wonder how to meet writer friends. There are numerous ways to do this. I’m a member of ACFW (American Christian Fiction Writers), RWA (Romance Writers of America), and Faith, Hope, & Love (a special interest chapter of RWA). I know it’s expensive to attend conferences. Travel expenses, hotel, conference fees, etc. add up to lots of $$$$. However, if you are serious about becoming a published author, this can be a great way to meet friends and make connections in the writing world. Because it’s so expensive, I don’t go to a conference every year. However, I’ve attended two ACFW conferences. Both times the conference was being held in Nashville, TN, which is only a three-hour drive, so I wasn’t out money for airfare. Some of my closest writing friends entered my life via blogs. Search for writing blogs that fit your genre and interest you. When you find blogs you keep returning to time after time (Great. Now I have Cyndi Lauper stuck in my head. )…sorry, I digress…anyway, when you find blogs you really enjoy, don’t just read the posts. Participate. Leave comments, and get involved in the discussions. Harlequin Writing Community was one of the first groups I ever became involved with. When I first found them six years ago, it was a different setup. They had a website with message boards, but now they’ve moved solely to Facebook. Another group I enjoy is the Love Inspired Authors and Readers Group. 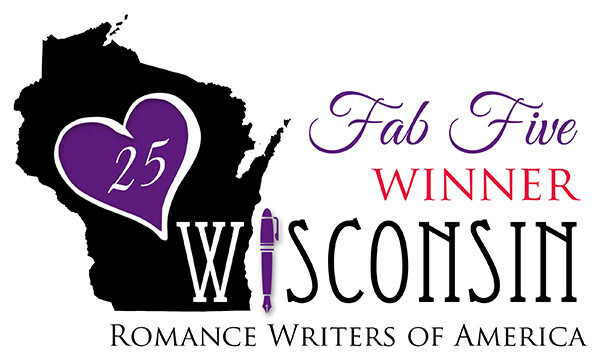 If you are an Inspy Romance writer, this is a great place to meet authors and readers (who one day may become readers of your books). No matter where you meet your writing friends always remember, the act of writing may be a solo activity, but learning the craft and (hopefully) getting published takes a village. To my village…I love you all, and I’m so thankful I don’t have to navigate the road to publication alone. Rhonda, your suggestions are great! I “met” my writing pals through blog sites and writing organizations. Someday I hope to attend a conference to meet them in person. The journey is so much more fun with our friends who are traveling toward the same dream….plus more productive since we provide mutual encouragement to keep going. Blessings along the way, my friend! Sherida, I’ve been blessed having you as an encourager! I hope we get to meet in person at a conference one day. I’m so glad we got connected! You are so right about the necessity of having people who can encourage you and motivate you to keep on writing. It takes a village, indeed! Thank you, sweet friend! I’m glad you’re part of my village! Wonderful post, Rhonda. It does take a village and I’m so glad to have found you and all the rest of our “tribe” online. It’s a lonely journey, otherwise! Great to see you blogging! I’m trying to do better about posting in 2019. Thank you for being part of my village. I’m glad we connected, Rhonda! And I agree with everything you’ve said here–great advice! Thanks for stopping by, Laurel! I’m glad we connected, too. Rhonda, this is a good post and reminds me of what I learned at the last ACFW. We’re all winners because we have each other. Well said Rhonda. Your village loves you too!